We at Sydney Olympic Park know just how popular our Blaxland Riverside Park play space is. I mean who doesn’t love a double flying fox, a three-storey tree house and a water play space with 170 jets and all this surrounded by bright colours?! Well, Blaxland Riverside Park is not just gaining the attention of Sydneysiders everywhere, it was featured last month on the front cover of American: Landscape Architecture Magazine. 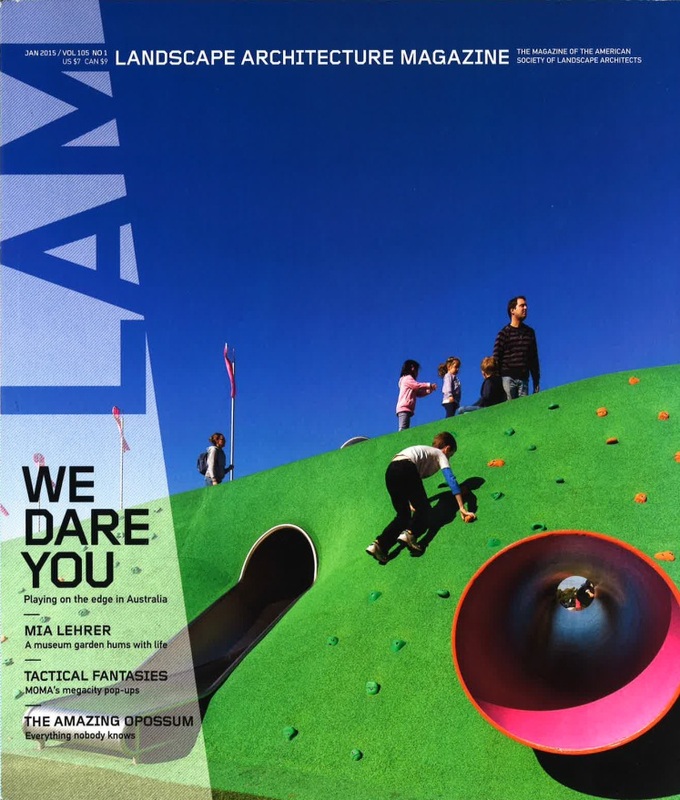 The article titled “No, No, You Go First” was a comparison of “the dull and out-dated playgrounds of the past” to the challenging and daring play space that we have in Blaxland Riverside Park. It’s great to see that Blaxland Riverside Park is gaining the attention of industry professionals internationally, and is recognised an example of a world-class play space. Blaxland Riverside Park is just one of a number of playgrounds at Sydney Olympic Park including Cathy Freeman Park, Wentworth Common as well as Concord West and the Village Green in Bicentennial Park.